Here is the solution how to display the dialog, to confirm the deletion in the new Windows 10, e.g. enable or disable! This solution is also suitable for Windows 8.1, 8, and Windows 7. Please simply use the command: shell:RecycleBinFolder via easily access from the Windows 10 run dialog! Tip: At this point you can also use the user-defined size of the Recycle Bin set for all drives. Or take the option to delete files immediately (not Move to Trash). But the Deleting without Recycle Bin, is not recommended. 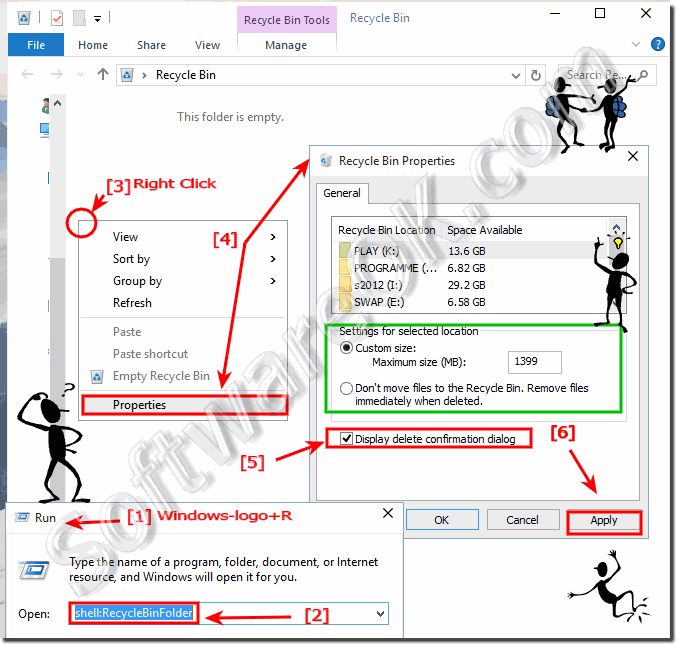 (Image-1) Recycle-Bin enable Confirm-Dialog in Windows 10! Windows-10 - FAQ-66: Enable, Confirm Dialog when delete files or folder in Windows 10?